Rizzoli & Isles aired its final episode last night, but could there be a reunion in the future? Recently, showrunner Jan Nash spoke with TV Guide about a possible reboot of the TNT series. 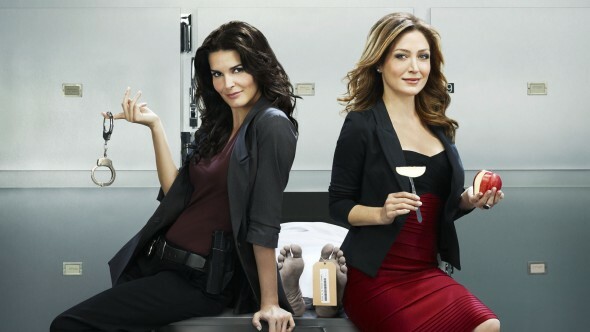 The dramedy starred Angie Harmon and Sasha Alexander as a police detective and medical examiner who are best friends and solve crimes together. The cast also included Lorraine Bracco, Jordan Bridges, Bruce McGill, Adam Sinclair, and Idara Victor. What do you think? Are you a fan of Rizzoli & Isles? Did you find the series finale satisfying? Best series ever ! Please please please bring it back! I thought it’d be back by now! I mis Jane and Maura like crazy… they were perfect together and the show was very interesting and entertaining… I loved Mom and the detectives as well! A reprisal is in order! Would love for this show to come back. Many wonderful hours spent watching it. Don’t know why they cancelled itin the first place!!! This is one of the best TV series on network. Why is it that all the good series always canceled and keep the crappy series that last forever!?! Please, please, pleeeeeease bring back Rizzoli & Isles. Love love love that show.